BABA is looking to obtain more data on consumers. Accomplishing that goal will likely positively impact BABA stock. 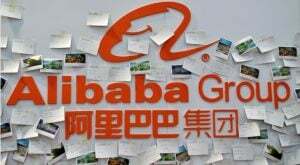 Alibaba Group Holding (NYSE:BABA), like most of its peers, always has its eyes open for its next acquisition. Acquisitions are often a relatively easy and effective way of bolting on a new capability. Indeed, it’s likely that even most owners of BABA stock aren’t aware of all the deals the e-commerce company has made. But investors who do keep close tabs on the company’s transactions know that, since early March, Alibaba has made more deals and bigger deals than it usually does in the space of several weeks. Here’s a rundown of BABA’s transactions and the potential impact they may have on the value of Alibaba stock. The company’s most recent deal may not be its most exciting one of late, but it is curious given the target company’s earliest financial backers. Late last month, Alibaba acquired Teambition, whose early investors included Microsoft (NASDAQ:MSFT) and Tencent Holdings (OTCMKTS:TCEHY). Teambition is, in simplest terms, a collaboration app. It would be of little interest to individual consumers, but companies with employees who need to be able to access or edit the same documents will appreciate what Teambition brings to the table. The acquisition gives Alibaba another weapon in its mission of fully penetrating China’s enterprise-tech market. Huawei, Xiaomi and McDonald’s (NYSE:MCD) are among Teambition’s early customers. Qutoutiao translates into “fun headlines,” which, as many might guess, correctly characterizes the company as a news-and-video-aggregation platform. Alibaba isn’t buying Qutoutiao outright, and rival Tencent is still a major shareholder of the start-up, which only went public in September. In fact, Tencent appears to be wielding a fair amount of influence on the shape Qutoutiao is taking. Nevertheless, the $171 million convertible loan Alibaba is making could be turned into roughly a 4% stake in the company’s total equity. That’s enough clout for Alibaba to push a few buttons of its own. Experts believe BABA shelled out more than $10 million to buy Israel-based augmented reality startup Infinity Augmented Reality. BABA may have a very specific goal in mind, however, for Infinity, and that goal could excite the owners of Alibaba stock. For the past few years, BABA has been looking for ways to bring an AR experience to online-shopping. BABA’s acquisition of its long-established partner, Infinity, may be a sign that the company likes what it sees and wants to gain control of the technology before it can be shared with a rival. Perhaps borrowing a play from Amazon.com’s (NASDAQ:AMZN) play book, Alibaba is looking to be more of a master of its own destiny by acquiring a $693 million, 14% stake in China’s parcel delivery outfit, STO Express. The statement from Alibaba was more direct. It explained “This investment is a step forward in our pursuit of the goal of 24-hour-delivery anywhere in China and 72 hours globally.” Accomplishing those goals would certainly be positive for Alibaba’s business and BABA stock. In March, Alibaba, Tencent and a handful of other Chinese names created a ride-hailing consortium. Suning is the biggest shareholder with a 19% stake, though it’s unlikely Alibaba’s stake would be considerably smaller than that. Ride hailing has not been an easy business in China. Uber abdicated its China business in 2016, selling out to rival Didi Chuxing, which by the way is still unprofitable. A little more time and the right technology — and perhaps more insight into what not to do — could make the new consortium a viable competitor to Didi Chuxing. Any one of these deals in and of itself wouldn’t be particularly remarkable, or terribly interesting, to the owners of BABA stock. In the aggregate though, they reveal something about Alibaba’s strategy. Not unlike Amazon, Alibaba’s goal at this point is overwhelming access to every aspect of consumers’ personal and professional life. More than that, it’s gathering and monetizing the data generated by personal and professional actions… even if they book losses as they collect that information. E-commerce, through Tmall, is still the big Kahuna for BABA and BABA stock . The size of the web that funnels consumers into Alibaba’s revenue-bearing ventures, however, is getting really big, really fast. That will probably help boost Alibaba stock over the longer term. Article printed from InvestorPlace Media, https://investorplace.com/2019/04/alibaba-baba-stock-deals-acquisitions/.